I go to Costco once a month because that's about all I can handle. I go to get paper towels and tissue, and come out with that and everything else that wasn't bolted to the floor. I can not help myself. Sometimes I realize I made a bad decision, and reluctantly have to deal with it until everything is gone. This was almost one of those times. My daughter likes crescent rolls, who doesn't?! I'll buy this bulk crescent roll pack and she'll feast. I get home, I put everything away then buyer's guilt sets in. Who needs all these crescent rolls? How are we going to eat these before they go bad? Why didn't anyone stop me?! Then it hit me, make a few for my daughter then use the rest of them for other meals. Thus my crescent roll challenge. Most of the things I did are pretty simple. The truth is there is a TON to do with crescent rolls. They're very versatile. It's dough so anything you use dough for a crescent roll can turn it into a bite size treat. It's a bit thin for some things, but it's the perfect serving size. You can reshape it using some flour and kneed it into whatever you like. I used 2 slices of veggie turkey (tofurky), 1/8 cup of harvarti cheese and a slice avocado. Bake at the recommended 375 degrees for about 10 mins. It was like a match made in heaven and I put them in a plastic baggie and took them with me on a field trip. They were easy and compact. They stayed together well, and made the perfect snack. 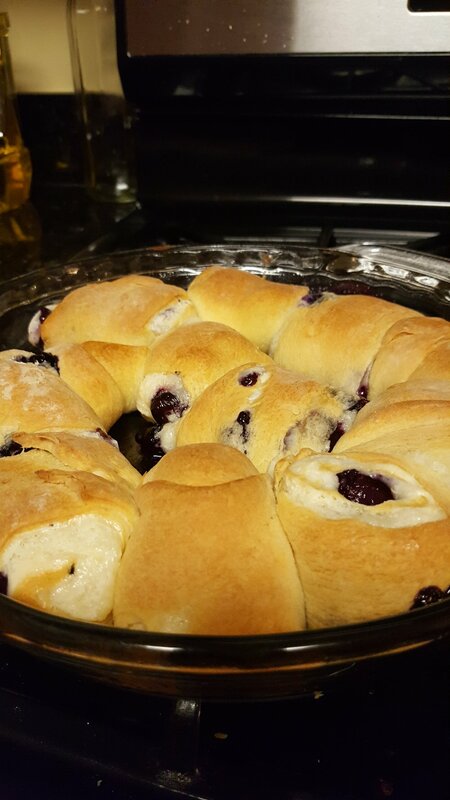 This was my only sweet crescemt roll recipe. I creamed cream cheese, butter, and sugar together then added the lemon juice. 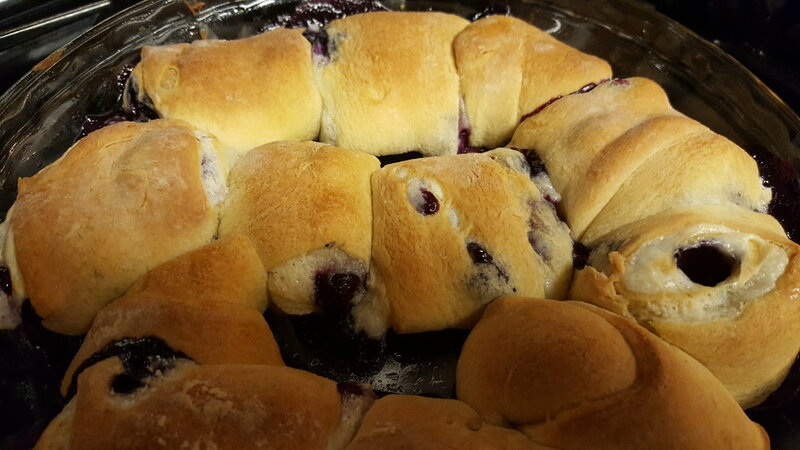 I found it hard to spread cream cheese mixture on crescent roll dough. I would recommend individual rolls and maybe piping on mixture, might make things easier. I sprinkled the blueberries and lemon zest and rolled it. I cut rounds out and placed them in an oiled pie pan. Bake at the recommended 375 degrees for 15 min or until golden brown. These take a bit longer to get the middle cooked. The first thing I made was cheese bread. Because why not?! One thing I didn't do but I would recommend you do it oil the bread before adding the cheese. Sprinkled on cheese blend (provolone, fontina, asiago, parmesan). 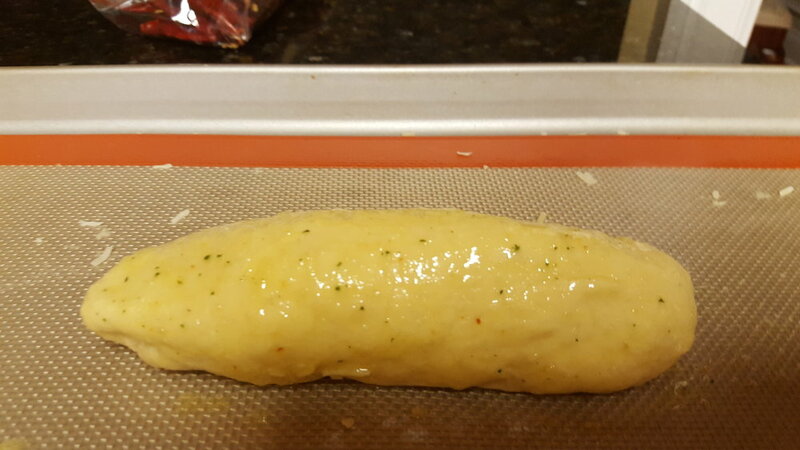 Roll into baguette, brush with butter and sprinkle with herbs, salt and pepper. Using oil instead of butter is fine also. Bake at the recommended 375 degrees for recommended 8 mins. These can also be done individually. This was my finest moment...also the most decedent. But it was for my last pack of crescent rolls. So I had to go all out, and it was perfection. The perfect filling and the perfect crust. First, I chopped all my veggies. Do this as uniformly as possible. This is key in helping everything cook more evenly. I boiled the potatoes to speed the process along. Sauté garlic, red peppers, onions, carrots, and zucchini until they are softened. Be sure to season sautéed veggies with salt and pepper to taste. Next, make a roux. Melt 2 tablespoons of butter in a saucepan on low heat, then whisk in 2 tablespoons of flour. Let butter and flour cook on low heat for about 2 minutes to cook off flour taste. Add starchy water and cream, bring to a boil, and let it reduce a bit (thicken up). Should take about 4 to 6 minutes. Finally add cheese, mix until cheese is completed melted. I used a special basil cheese my husband got at the farmer's market. But you can use pretty much anything kind of good melty cheese (harvarti, fontina, parmesan, romano). Also if you eat meat feel free to add that too. 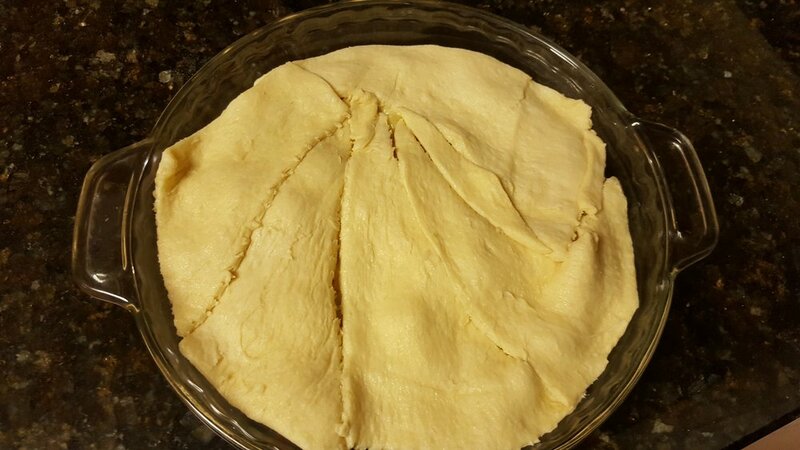 Add to a baking dish, top with crescent rolls. I threw a bit more cheese on top for good measure. Bake at 375 for 6 to 8 mins. Enjoy! What do you make with your crescent rolls?